One more packaged food review recommended by a friend. It is also the best time to look at such products, given that it is monsoon season and we crave for something deep-fried. 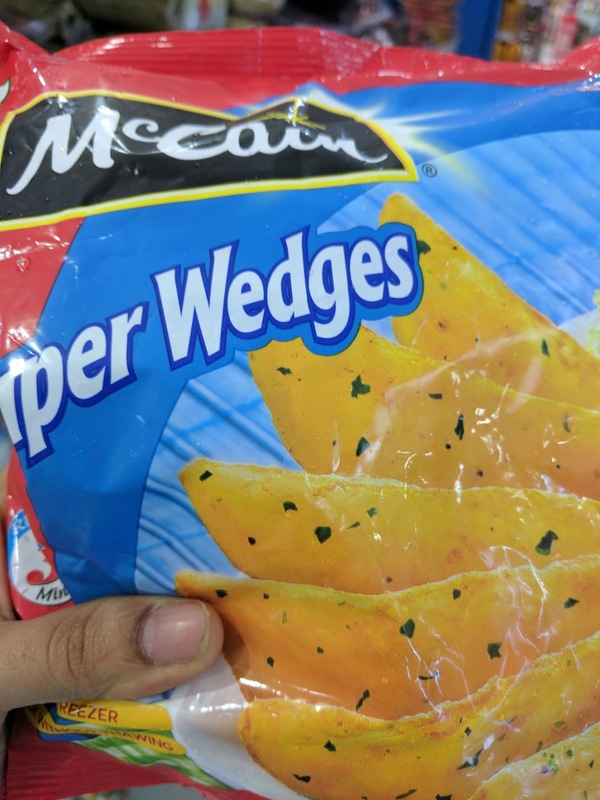 I remember a few months back that such packets of frozen to-be-deepfried snacks would be in one corner of the freezer shelf in the supermarket that I frequent often. But I recently noticed that they have taken up almost the entire freezer space with so many varieties - global favourites like French Fries, Potato wedges, potato smileys etc and local ones like aloo tikkis. Clearly, the “freezer se seedha kadai mein” promotions have worked big time. I have never made them at home or eaten them anywhere else, so I’m not aware of the taste. Let’s look at the ingredients list of the popular “McCain Super Wedges”. As we have seen in earlier posts, palmolein oil is the cheapest edible oil and many packaged food brands use it in their products. If you look at the ingredients list of Act-II popcorn, palmolein oil is listed - yes, the oil in which the dry corn kernels have been soaking in for months. From a health perspective, palmolein is linked to low grade inflammation, causing insulin resistance and obesity. From an environment perspective, the high demand for cheap palmolein has led to severe deforestation in Malaysia and Indonesia. From an economic point of view, India is the biggest importer of palmolein oil. 70% of our edible oils are imported, up from 44% in 2001-02. Local oilseed crushers are struggling to compete with cheaper edible oil imports from Malaysia, Indonesia, Brazil and Argentina. If we reduce our consumption of palmolein oil (primary use of it being packaged foods), then it can have a positive impact across health, environment and economy. Usually produced from corn or potato starch. If it is corn, then highly likely that it is GMO. Though it is not extremely harmful in small quantities, it is is the list of potential allergens. Natural polysaccharide produced from the seed of the leguminous shrub Cyamopsis Tetragonoloba. High concentrations bring about flatulence and bloating. This is WHERE my main concern is. 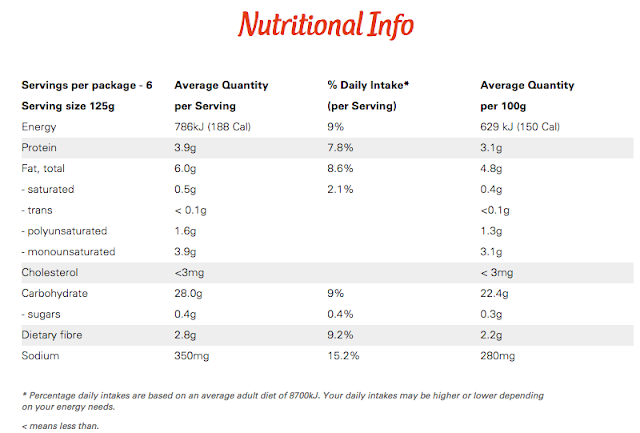 The brand has neither mentioned the amount of salt used NOR it has listed the sodium level in the nutrition facts table. I have written to them asking for this piece of info, but no response yet. The sodium level is not listed for any of their products in McCain India website too. 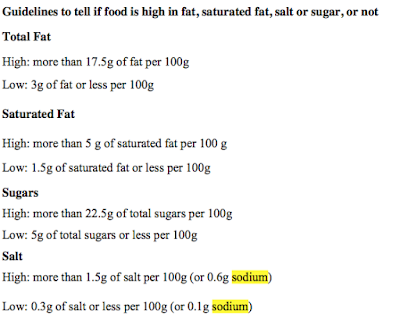 Is it because there is no regulation in India that mandates listing the sodium levels in a packaged food? Or is it that we Indian consumers don't deserve to know about it? I looked at McCain AU site and here’s the nutrition table. For a 100 gm pack, the sodium level is around 280 mg. For now, we can presume that the sodium range would be around this number +/- 20 mg. Since such snacks are a favourite among children, isn’t it strange that these brands compute the % daily intake using an adult’s daily calorie needs? If they show the percentages based on a child’s % daily intake, the sodium levels will hit the roof (adequate intake of sodium for a 4-8 year old child is 300 - 600 mg/day). Let’s not forget that such snacks (wedges, French fries, aloo tikkis etc) are ALWAYS, ALWAYS served with ketchup. Imagine the sodium overdose a kid would face in a birthday party (not to forget the sugar rush I wrote about in my last post). A product that has 600 mg of sodium should be declared as "High on sodium". 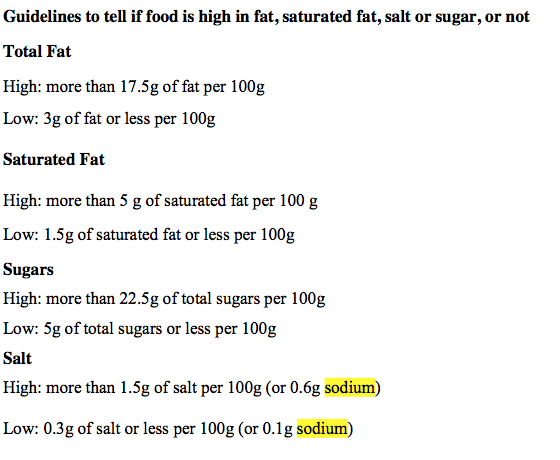 Foods high on sodium increase blood pressure and damages the heart and kidneys. The solution is NOT "low-sodium iodized salt" but cutting down on packaged food consumption. Where did our Bhajji/pakora making practice vanish? The batter is so easy to make - mix gram flour, hing, ajwain seeds, turmeric powder, red chilli powder, salt and water. Heat oil for deep frying, slice the potatoes finely using a potato slicer. Dip them in batter and deep fry. 10 minutes max. Do we even need such “freezer se seedha kadai mein” solutions? Let’s question every product promising “convenience”. What’s the bargain in return? Poor health, more plastic waste, totally degraded environment and rising temperatures. All these issues are interlinked. When we stop patronizing these “convenience” products, it not only improves our health but of our environment and planet too.